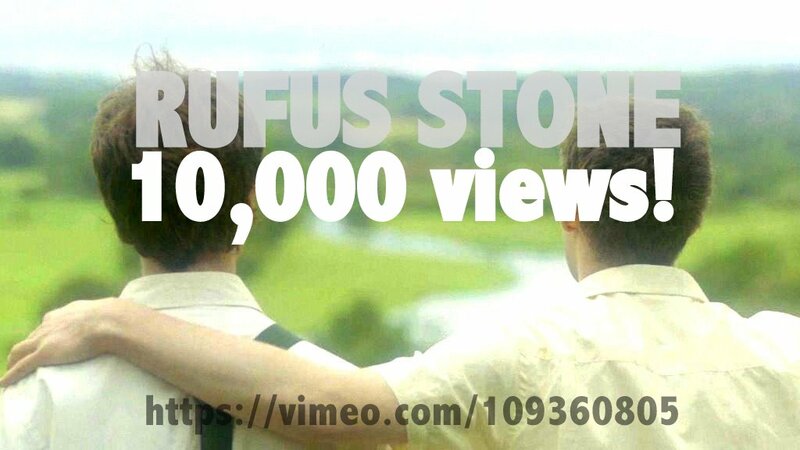 BU Produced Biopic RUFUS STONE Reaches 10,000 Views! The award-winning, short film, RUFUS STONE, based entirely on research carried out at Bournemouth University on older people in terms of isolation and connectivity, rurality and sexuality, and funded by Research Councils UK, has been available for viewing on Vimeo on the Internet since early this year. As of today, more than 10,000 people worldwide in 150 countries have viewed the film for free. Project Lead, Executive Producer and Author of RUFUS STONE, Dr. Kip Jones remarked, “The bidding process took three years, the research a further three; writing and producing the film another year. The film has been seen widely in community and academic settings nationally and internationally since and is used by many practitioners and service providers in their trainings, including Alzheimer’s UK nationally. What I am saying is that substantial research and its dissemination takes time, but has a ‘long tail.’ In most cases, patience and perseverance are the keys to meaningful, in-depth impact”. Plans continue to spread the use of the film and collect stories of its use and effect. An event being held on Saturday, 7 November at Bournemouth, “Pathways to Impact: Part Deux!” under the auspices of the ESRC Festival of Social Science will do just that. Participants who attended two previous events at BU around LGBT issues and ageing and the use of the film and a “Method Deck” learning tool will be invited back for a day of sharing at BU. We will ask them to elaborate on their experiences with the tools and give us feedback for an impact case study around concerns of older gay and lesbian citizens in the community. Drs Lee-Ann Fenge and Kip Jones are organising the Event with the help of BU’s ESRC Festival of Social Science team led by Naomi Kay and assistance from FHSS’s Impact Champion, Zoe Sheppard. Jones and Fenge are both members of the newly configured Social Work and Social Sciences Department in the Faculty of Health & Social Sciences (FHSS). Jones is also aligned with the Faculty of Media & Communication.